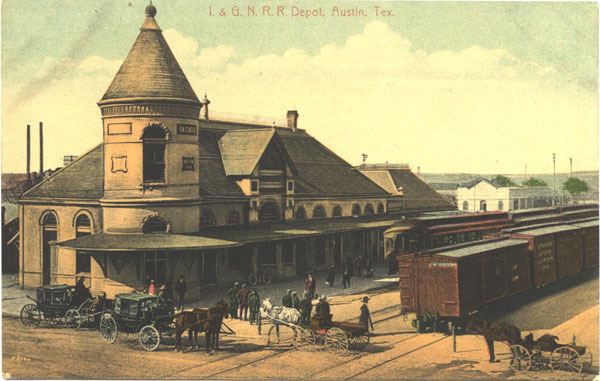 Notes: The International and Great Northern Railroad was the second railroad to reach Austin. They completed the new line from Palestine to Austin in December of 1876. This depot was located at 3rd and Congress.